Sen. Bernie Sanders (left) has endorsed Rich Lazer (right) for Congress in Pennsylvania’s Fifth District. Democrat Rich Lazer, a congressional candidate in Pennsylvania's crowded Fifth District primary, just got a big last-minute endorsement: Sen. Bernie Sanders. "Rich believes, as I do, that health care is a right, that free public education should extend through college, and that solving the student debt crisis is an urgent necessity," said Sanders in a statement. "Rich will be a consistent voice for a bold, progressive agenda and will fight to create a government and an economy that works for us, not just wealthy corporate interests." Lazer supports a $15 minimum wage, Medicare-for-All and free college, all issues that Sanders campaigned on during his 2016 presidential run. "This is an honor for me," said Lazer, the former deputy mayor of labor under Mayor Kenney. "I think we see things through the same lens … how things should be working for working families." The Fifth District is largely based in Delaware County, but also includes parts of Philadelphia and Montgomery County. Lazer has won the support of several labor unions, and one of his biggest backers is John "Johnny Doc" Dougherty, the powerful and controversial leader of the city's electricians union. A super PAC for Lazer was launched by Dougherty. The Middle Class PAC has spent nearly $1 million on pro-Lazer TV advertising that will air through Monday, according to a source familiar with ad buys in the area. That dwarfs the amount of money that any individual campaign has spent broadcasting TV spots. Ballard Spahr attorney Mary Gay Scanlon has paid about $515,000 for TV advertising, while former U.S. assistant attorney Ashley Lunkenheimer has spent about $498,000. Despite that big money, Lazer has trailed in recent polls conducted on behalf of other campaigns. Notably, Sanders' endorsement appears to come too late for the super PAC to air TV ads promoting it. 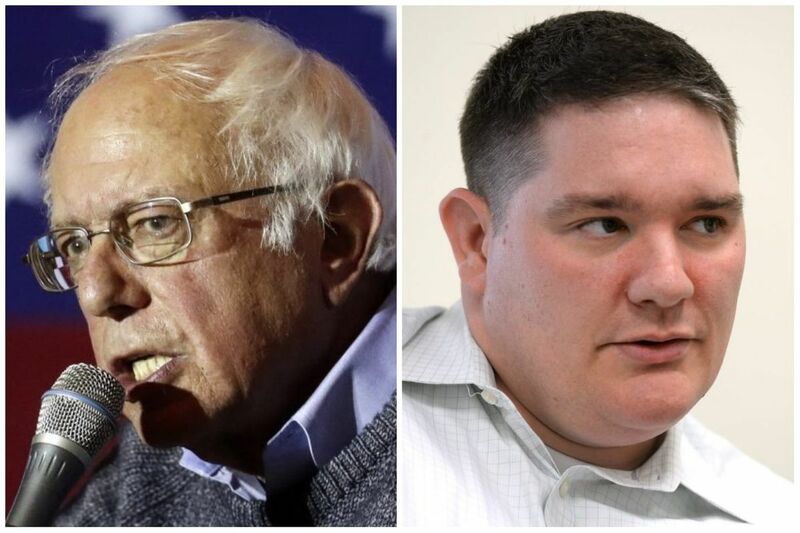 Could Sanders' endorsement of Lazer benefit him if he runs for president again in 2020? Dougherty's union, which endorsed Hillary Clinton in the 2016 primary, is one of the most influential campaign spenders in Pennsylvania. Former Gov. Ed Rendell, a longtime supporter of Clinton, is backing Scanlon, who has polled in first in campaign surveys. Dougherty spokesman Frank Keel said he's the one who clinched the deal for Lazer. "John made the endorsement happen," said Keel. "He's admired Sen. Sanders for years and met him on several occasions. John had recently reached out to him about the Fifth Congressional race and Rich's candidacy. John and the senator spoke earlier today for a half hour or so about Rich's progressive politics and years of experience. Sen. Sanders, who'd already done some homework on Rich, clearly liked what he'd heard and agreed to do the endorsement." Keel added that "this is a huge boost for Rich's candidacy in these final days before the election." In a phone interview, Dougherty was less braggadocious. He said the endorsement was the result of "Rich Lazer's stellar performance" in the campaign and the fact that Lazer helped further "Mayor Kenney's progressive agenda" as Kenney's former deputy mayor of labor. Dougherty also said that Ed Mooney, the Philadelphia-based vice president of the Communications Workers of America District 213, "made the contact." Molly Sheehan, one of Lazer's Democratic opponents in the 10-person primary for Pennsylvania's Fifth District, said she is surprised by Sanders' endorsement. Two local chapters of Our Revolution, an organization created out of Sanders' presidential campaign, are backing her. "This decision was about top-down alliances of old-school political leaders. It wasn't about where the activists are in our movement," she said. "Rich and I would vote similarly on a lot of issues, but he's backed by a super PAC … his power emanates from loopholes that were created by the flawed Citizens United Supreme Court decision we're all running against." Dougherty has said in the past that his union funds super PACs because he wants "working-class people to have the same tools that the rich people have." The primary is May 15th.